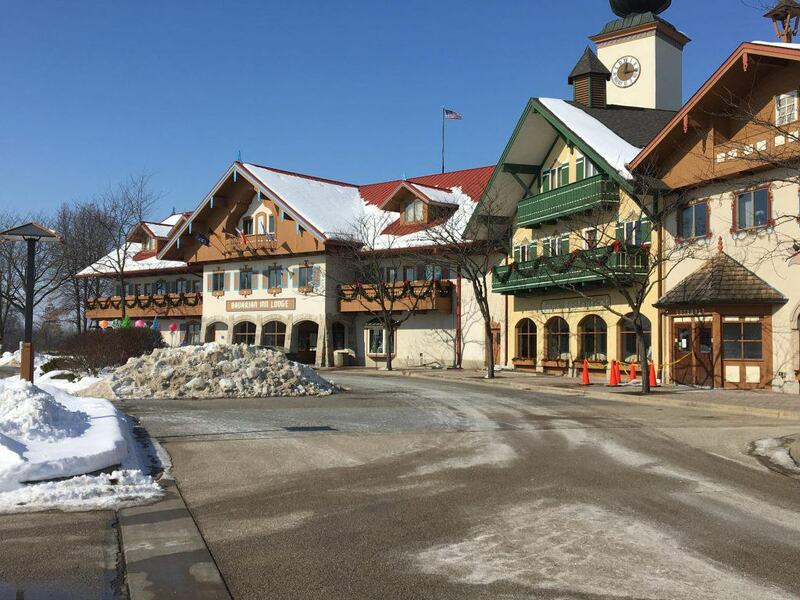 This is my honest review of my recent stay at the Bavarian Inn Frankenmuth. 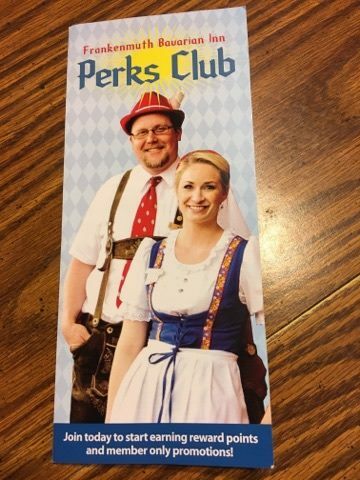 Read to the bottom for some great Bavarian Inn coupons to help you save on your next visit to Michigan's Little Bavaria. This has been such a long, cold and snowy winter. Some seasons are just harder than others, figuratively and literally. This year we have been dealing with some difficult issues and tough decisions, which seemed to make this winter season even bleaker than normal. Just before Valentine's Day, my husband and I were talking about how nice it would be to get away some place warm, even if it were just for a few days. After just a few more minutes of dreaming, we realized that it was not going to be possible to go anywhere very far and so we put that idea aside and moved on to dreaming of spring, and the warmer months ahead of us. 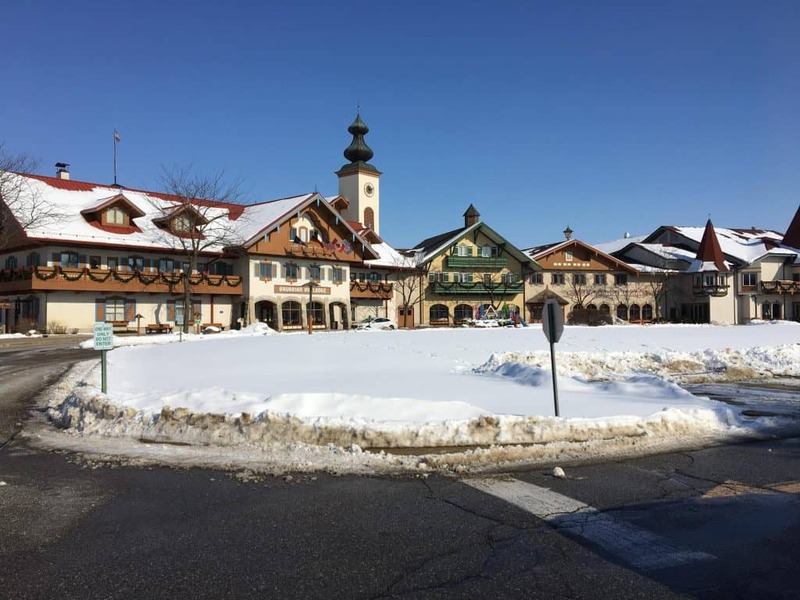 It was almost as if God was answering our prayers when I opened up my inbox one day and found an email asking if I would like to come to Frankenmuth for a compliementary overnight visit in exchange for my completely honest review of The Bavarian Inn hotel and Restaurant. Of course I said yes right away and then proceeded to thank God for the answered prayer. The timing and everything worked out perfectly and we found ourselves heading up for an early Valentine's Day Celebration. 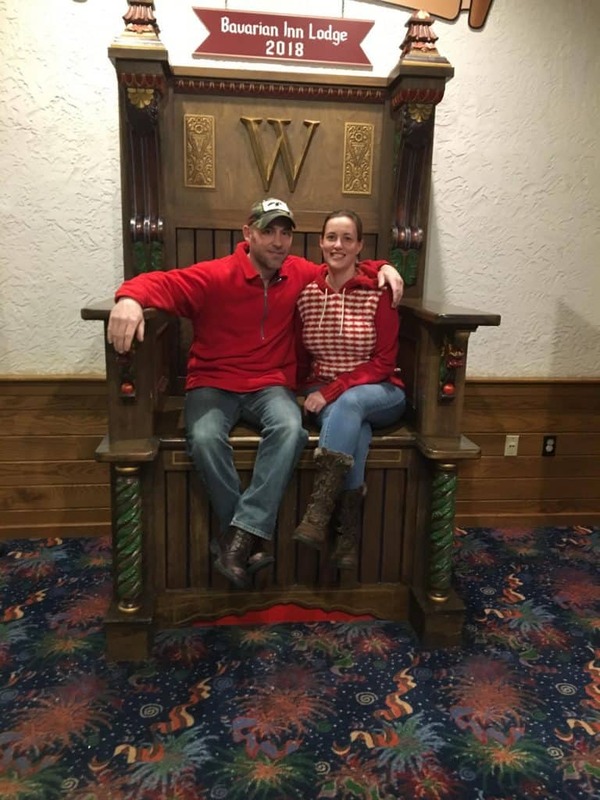 We really enjoyed every single bit of our time at Bavarian Inn Frankenmuth. Sometimes when you are dealing with all of the busyness and distractions of daily life you don't realize how much even one night away can refill your Love Tank. We spent time doing all of the things while we were there. 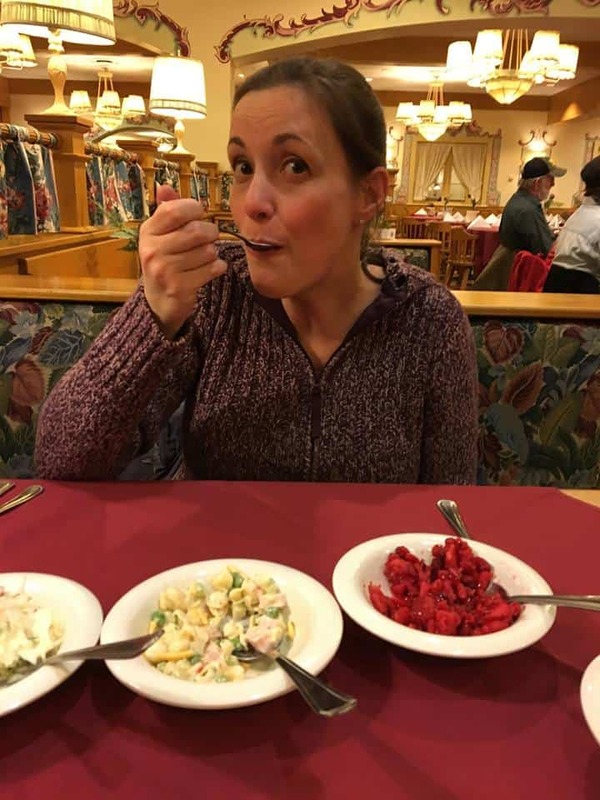 Things to Do at Bavarian Inn Frankenmuth Dinner - If you have never been to The Bavarian Inn Restaurant, you are in for a treat! This is not any ordinary restaurant. 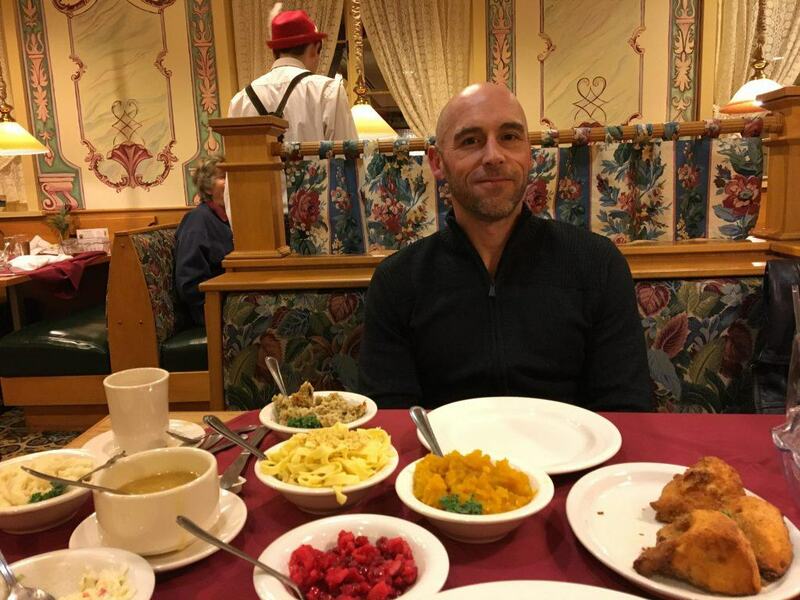 The Bavarian Inn Restaurant is famous for their family style chicken dinners, which come with so much food! My husband ordered a traditional chicken dinner and I chose the Chicken Imperial dinner. We were served with all you can eat homemade bread and stollen, noodle soup, stuffing, bean salad, mashed potatoes and gravy, coleslaw, cranberry fruit salad and noodle salad before our main course even arrived. 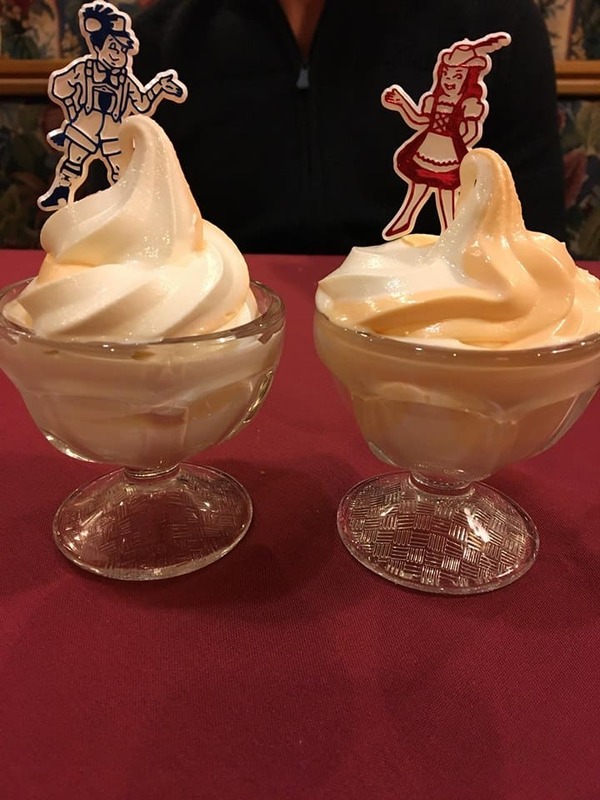 At the end of our meal we were also served with the soft serve ice cream of our choice, we chose Orange Cream Swirl! Needless to say, we had plenty of food left to take home with us. In fact it took FIVE boxes to fit it all! Pools and Hot Tubs - This is where we chose to spend the majority of our time. There is a pool area set aside just for adults that is absolutely lovely! So peaceful and quiet, and we mostly had the place to ourselves. 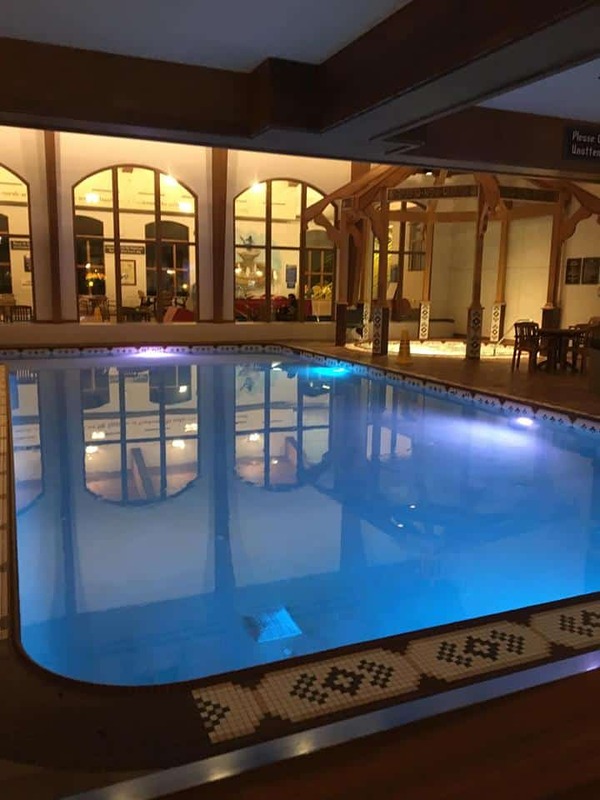 There are also other pool areas for the entire family, including an indoor water slide. 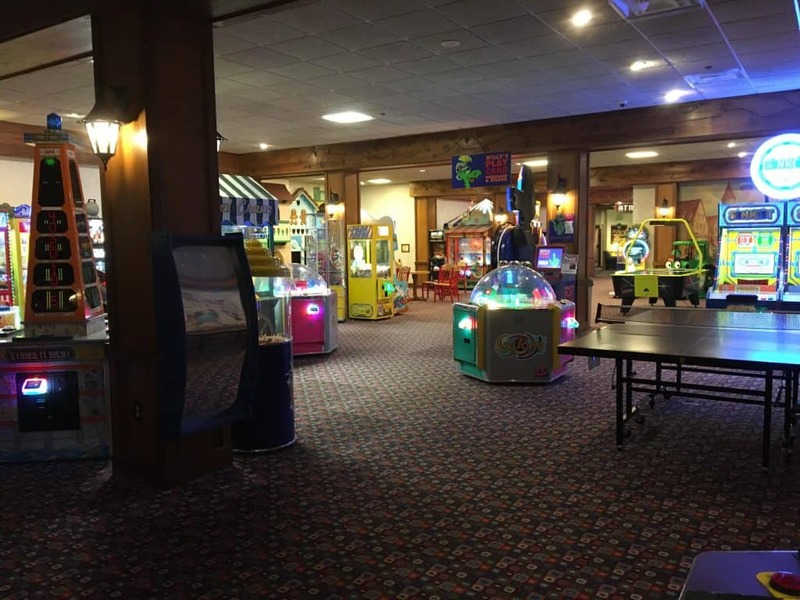 Arcade - I don't care how old I get, I will always love the arcade and the Skee Ball Game! We found a Photo Booth and decided to take some selfies while sitting inside it. 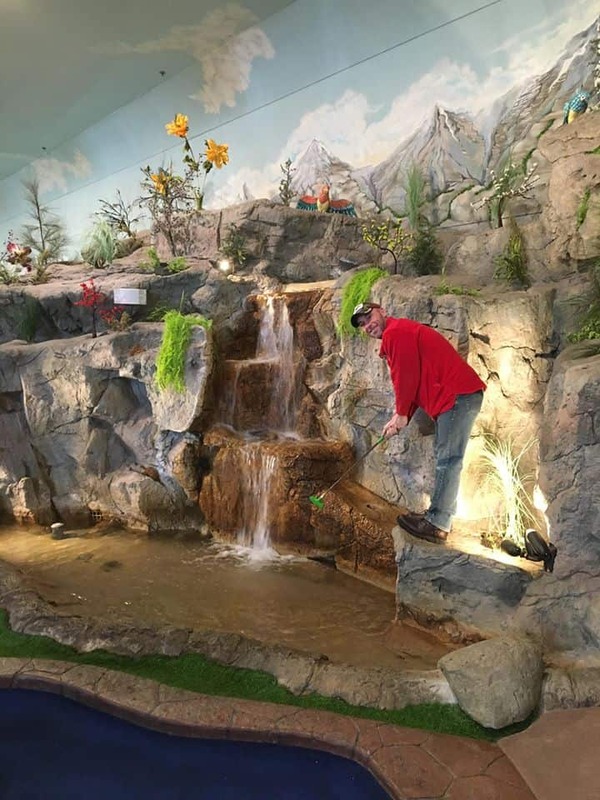 Mini Golf - The mini golf course at The Bavarian Inn is so magical, complete with twinkling light up trees and a waterfall. 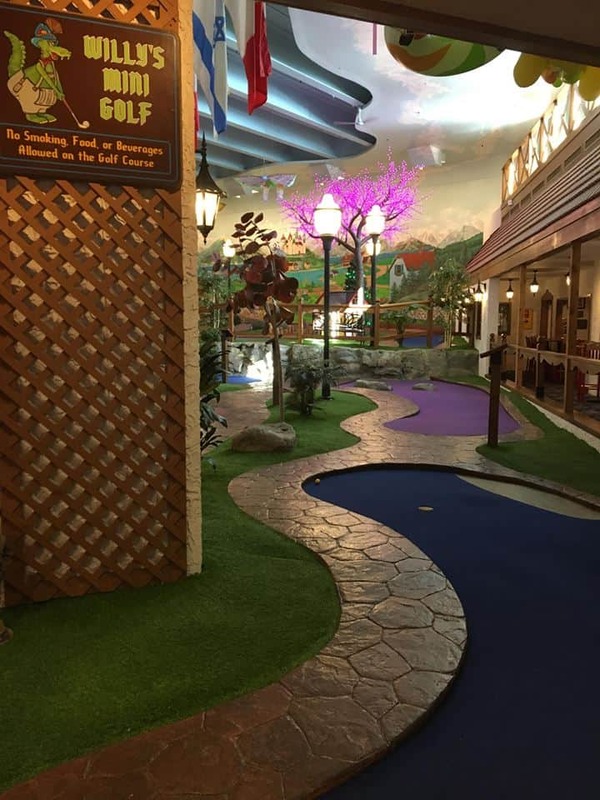 Read about the Bavarian Inn Perks Club below and how you can get Four FREE games of Mini Golf below. 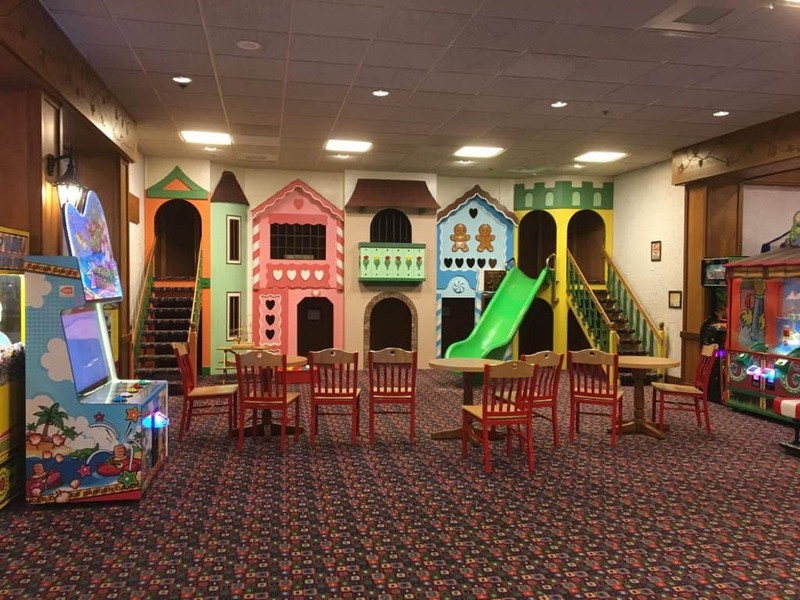 Kid Play Area - You'll find this area inside of the arcade area, just for the youngest ones in your family to enjoy. 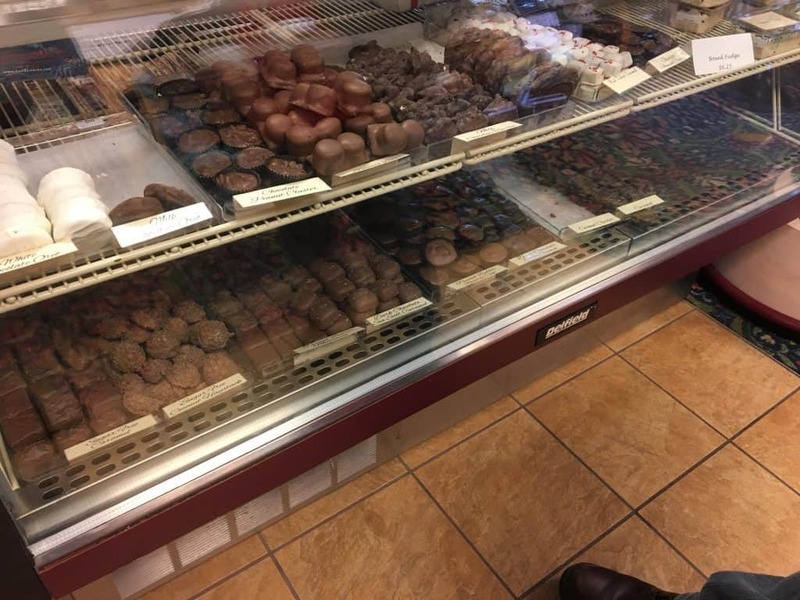 Chocolate - Valentine's Day is not the same without chocolate and the Bavarian Inn has an unlimited supply of some of the most delectable treats such as the over-sized Pecan Clusters which happen to be our favorite! 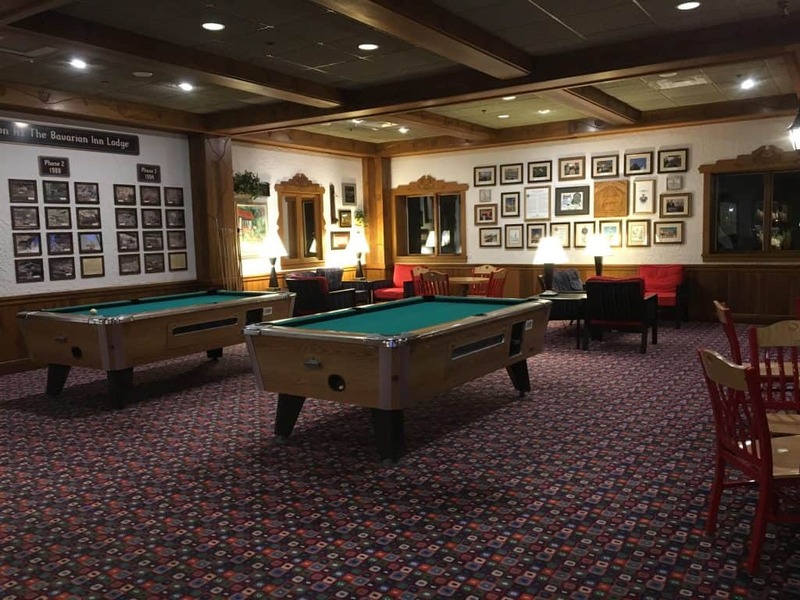 Pool Tables - I managed to beat my pool shark hubby at a game before we had to leave to head back home again. The cost of the Perks Club membership is $10 per year. If you accumulate 5000 points throughout the year, your next years membership fee is FREE! It really is an awesome deal for anyone who like to get the most for their money. 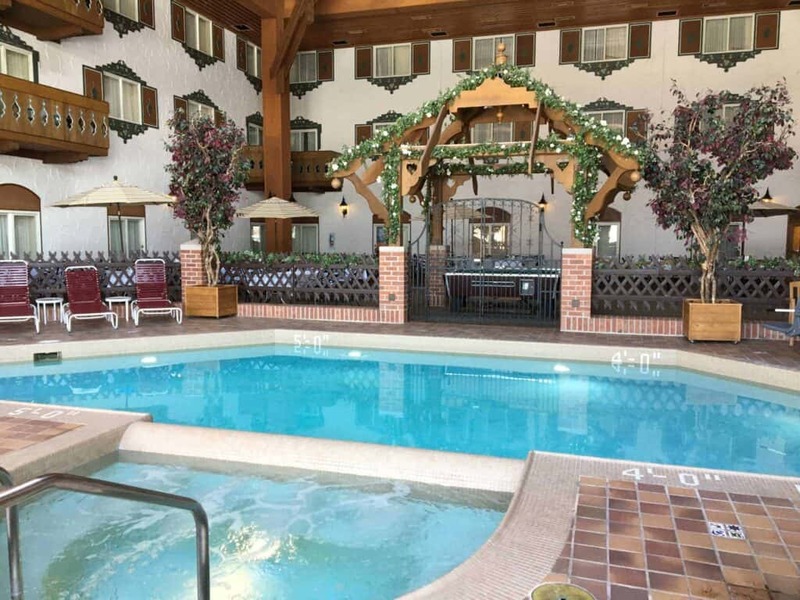 If you are looking to get away, even for just one night, I highly recommend The Bavarian Inn! I shared a couple of great Bavarian Inn Coupons with you a couple weeks ago that are still valid for readers of Saving Dollars and Sense. MY READERS RECEIVE AN EXCLUSIVE COUPON for Bavarian Inn Restaurant – HALF Off at the Bavarian Inn Restaurant! *Although I did receive a complimentary stay and dinner, all opinions expressed are solely my own. Great review! My wife and I love this place! I’m dealing with some serious health issues and a few days here after a hospital stay always seems to help. Matter of fact we will be there on Monday again. A trip to Bronners is always a must do too!